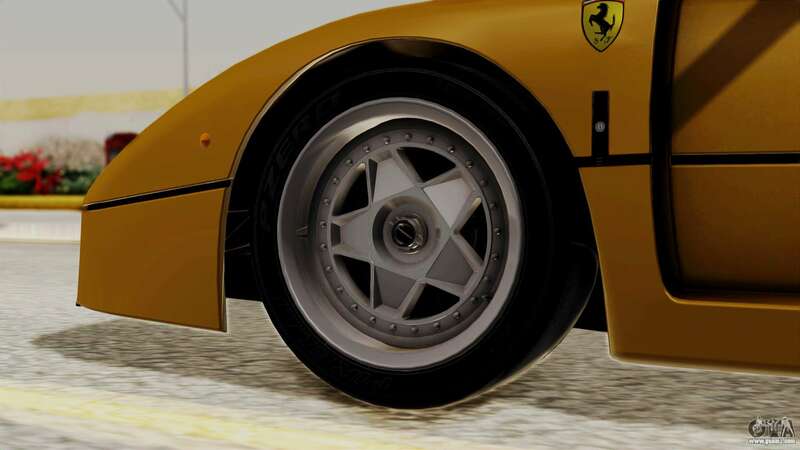 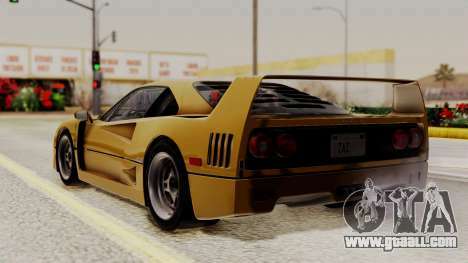 Ferrari F40 1987 for GTA San Andreas. 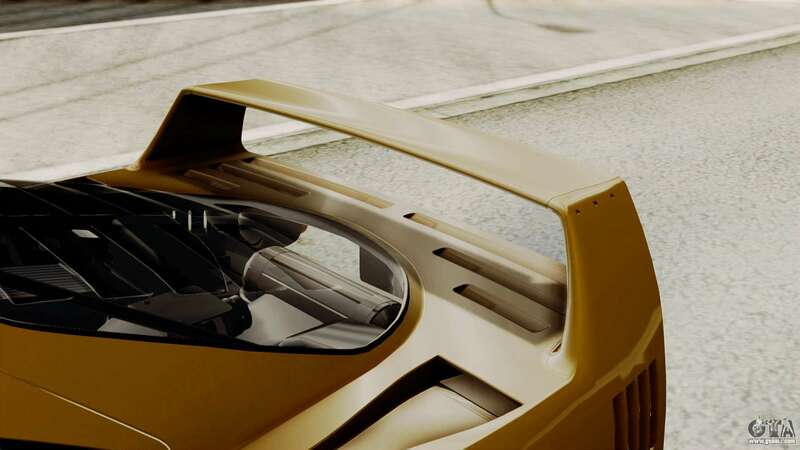 If You are a successful person, You must fit this car, but if You haven't earned it, save up. 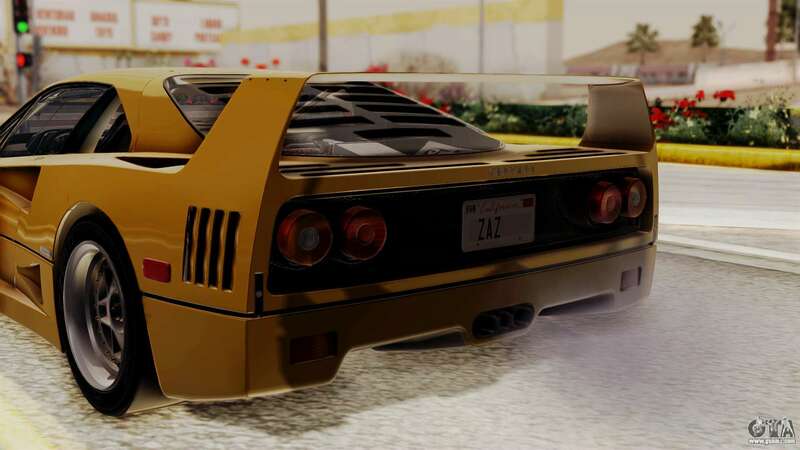 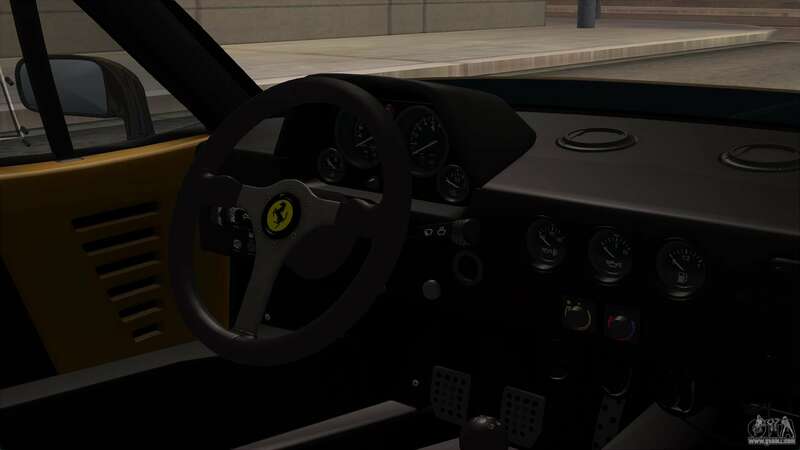 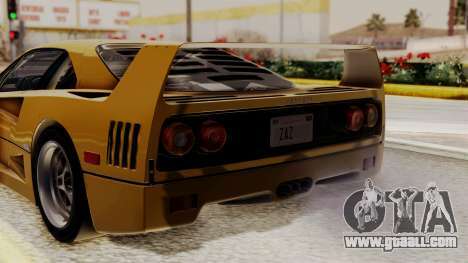 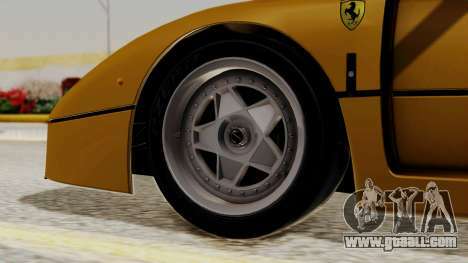 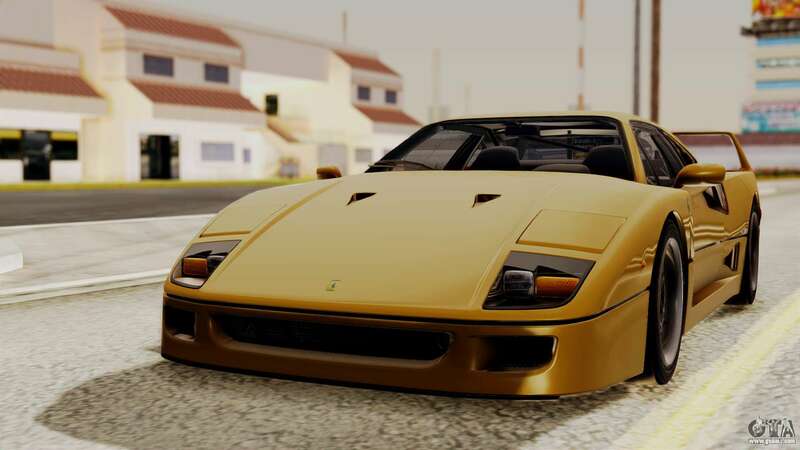 By default, the model replaces Turismo, but thanks to our corporate avtoustanovŝiku mods for GTA San Andreas you can install the Ferrari F40 1987 model to any other in the game! Free download the mod at the link below.